James is a senior associate in our Litigation and Dispute Resolution Department and has particular expertise in trial advocacy and highly contentious matters. James joined Campbells in 2011 having spent six years at another major law firm in Cayman, prior to that he practised from a leading set of chambers at the Bar in London. He is the current Chair of the Cayman Islands Human Rights Commission. James has extensive advocacy experience in first instance and appellate courts in England and the Cayman Islands. His case load encompasses fraud and asset recovery, compliance and regulatory law, contentious trusts litigation, administrative law, mutual legal assistance, extradition and other cross-jurisdictional matters as well as general civil and commercial litigation. The nature of James’ practice means he often appears against Leading Counsel from both the UK and Cayman and has been acted in a number of reported cases in Cayman over the last decade. His clients include financial institutions and companies as well as private individuals. James also provides legal advice to various Constitutional bodies including the Anti-Corruption Commission, the Office of the Auditor General and the Office of the Complaints Commissioner. James has been a member of the Cayman Islands Human Rights Commission since 2014. In 2015 the Governor appointed him as the Commission’s Chairman for three years. As well as dealing with human rights complaints the Commission works with governmental and non-governmental organisations locally and internationally and reviews and advises on Cayman legislation. 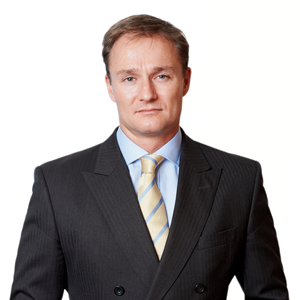 James is the author of the Practical Law Corporate Crime, Fraud and Investigations Multi-Jurisdictional Guide (Cayman). He has written articles and reports on various aspects of human rights and constitutional law and makes regular media appearances to comment on these issues.